Homes and buildings everywhere deal with pests which can infest and destroy property. In California, birds are a particular problem. Since the climate tends to be milder and warmer, birds are present year-round causing havoc to homes and local businesses. There are a variety of ways that birds cause problems. They often find a safe, empty place and start to build a nest. In gutters, attics or small openings, birds collect and use sticks, stems and leaves to build a nest for themselves and their offspring. Having a bird’s nest in or near your home or business can be noisy, smelly and messy. Overall, too many birds on your property can be a major problem. 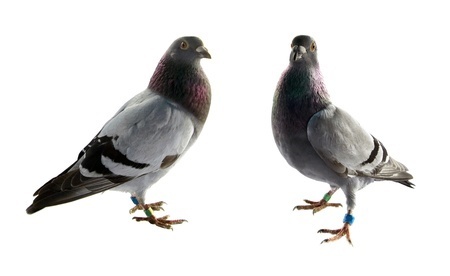 Pigeons are the most prevalent and common bird that can be a detriment to buildings. These birds flock to food, so restaurants are especially vulnerable to infestation. Their cooing is the calling card and is an annoying noise to hear all day and night. The sparrow and starling are invasive birds to California. They make nests in gutters, downspouts, even shrubs and bushes. Since these birds don’t migrate, they are a problem all year long. It’s crucial to deter them from the start rather than attempt to get rid of them after they have found a home in your building. The main way to keep sparrows and starlings at bay is to avoid feeding them or leaving any food in a place that they could get to it. Seagulls and geese are also noisy and can pester any type of guests. Both of these birds are common in outdoor, open areas with room to roam and fly. Parks, golf courses and home with a lot of open land are especially susceptible to these birds. With the right knowledge and experience, these species can be deterred or removed if they are causing a negative impact on your home or business.